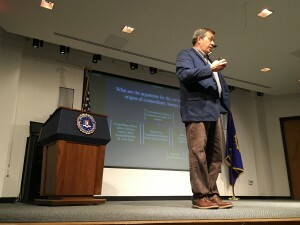 On Friday, April 22, 2016, the Director of Academic Programming at the Auschwitz Institute for Peace and Reconciliation (AIPR), Dr. James Waller, delivered a lecture entitled “Becoming Evil – How Ordinary People Commit Genocide and Mass Killing” to an audience comprised of members from the US intelligence community at the headquarters of the Federal Bureau of Investigation (FBI) in Washington, DC. 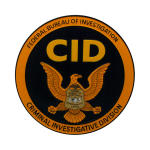 Serving as the inaugural edition of the FBI Criminal Investigative Division’s Enterprise Speaker Series, Dr. Waller’s talk was given to over 1,300 intelligence personnel representing multiple federal agencies including the FBI, Department of Justice (DOJ), and the investigative arm of the Department of Homeland Security (HSI). Becoming Evil, Dr. Waller’s presentation, provided a critical examination and investigation into the psychological drivers that cause ordinary individuals to commit heinous acts, including mass atrocities, when placed in certain circumstances. This is an important concept, as the ability of investigators and intelligence personnel to understand perpetrator psychology remains essential to the success of efforts to prosecute them and prevent future genocide, war crimes, and other mass atrocities. To learn more about AIPR’s activities and initiatives in the United States, such as its participation in the International Human Rights Forum held by the FBI International Human Rights Unit, visit the US Program page here.